Companion planting works – but only when you know why. 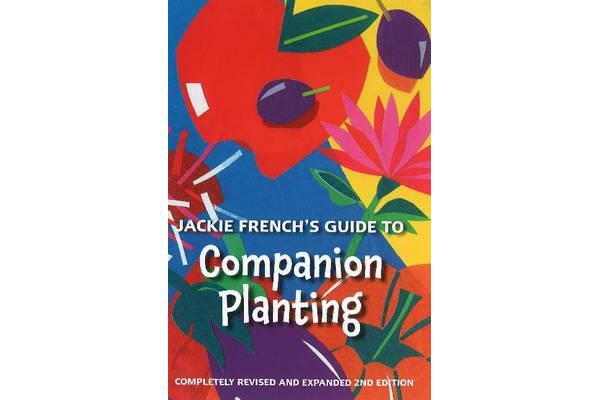 This book is the result of 40 years of studying gardens, orchards and the bush; of Jackie French experimenting and testing what lore works and what doesn’t. The result is a plan for gardens – * that are unconventional and wild, untidy even, but always beautiful * without a need for pesticides and herbicides * where plants are companions for each other and for the other species of the earth Jackie French is well-known for her many gardening and children’s books, TV appearances on Burke’s Backyard, her radio segments, and columns including those in The Australian Women’s Weekly and Earth Garden. Her books include the multi-award winning Hitler’s Daughter and Diary of a Wombat as well as books like Backyard Self-sufficiency, Natural Control of Garden Pests, Soil Food, The Wilderness Garden, and Jackie French’s Chook Book. 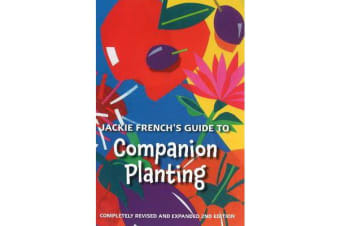 * Completely revised and updated * More than double the extent of the 1st edition * Full colour, now with some 100 photographs * Separate chapters on companion planting for Fruit, Vegetables, Flowers, the Lawn, and Soil Fertility * In its 7th printing, with more than 25 000 copies in print, this inspirational guide is set to be most gardeners’ companion for life.